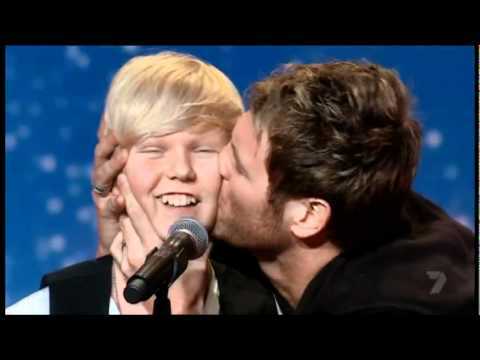 Jack Vidgen 14-years-old was nervous about his audition on Australia’s Got Talent as he did not want to let his mom down. Jack grew up with stage fright whenever he found himself performing in front of others. Jack would attempt to sing in public but then his stage fright would prevent him from showing off his true potential. Just before coming on Australia’s Got Talent his grandpa gave him advice which seemed to have worked, because by the end of his performance he had all three judges on their feet. Jack’s rendition of Whitney Houston’s “I Have Nothing,” left the judges amazed by his singing ability for his age.